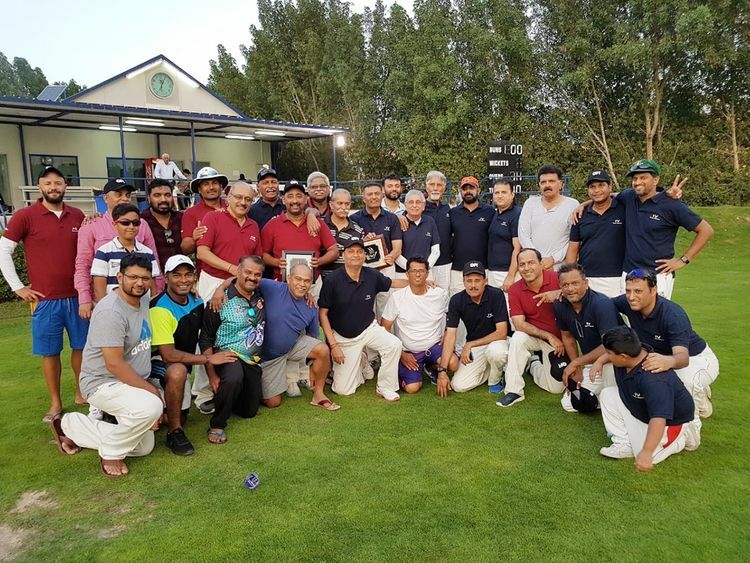 Dubai: Indian Veterans easily beat the Armchair Boys, a team made up of the local media fraternity by eight wickets in a friendly match played over the weekend at the picturesque Ocean Fairs cricket ground in Dubai Investment Park. The CTK brothers, Nasir and Mashood dazzled with bat and ball to help the Indian Veterans cruise past a strong media side as Nasir came up with an all-round show first making a quick-fire 37 runs in 19 balls with the help of five fours and a six and then bagged two wickets, while Mashood was lethal with the ball bagging three quick wickets for just five runs in his two overs. Piyush Maloo with a fine knock of 36 runs in 18 balls assisted by four hits to the fence and two over it and Abbas Khan with an unbeaten 23 runs were the other batsmen to shine. Earlier AKS Satish and Merwyn Fernandes 10, put on 29 runs for the opening stand and then Paul Radley (14) accompanied Satish to take the score to 60. Seasoned campaigner Freddy Sidhwa struck the first blow bagging Merwyn while Ambe Parvatkat got Radley. Satish was in fine form and played some fine shots to strike five boundaries and a six before being out to Mohammad Lokhandwala in his second stint. Jai Prasad Rai with 15 runs and Sunil Vaidya with nine were others to contribute. After the match, well-known cricket supporter and Guest of Honour Shyam Bhatia gave away the Man of the Match awards to Satish and Nasir and the Winners trophy jointly to Freddy Sidhwa and Mohammad Lokhandwala. Indian Veterans 129-2 (Nasir 35 retd., Maloo 36 retd., Abbas Khan 23 retd; Jai Prasad 1-22, Ahmed Rizvi 1-12) Men of the match: CTK Nasir and AKS Satish.